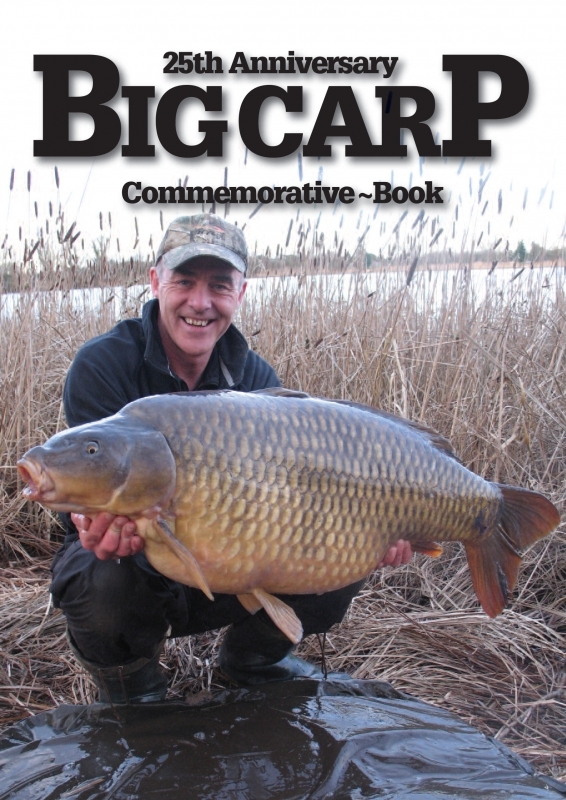 The Big Carp 25th anniversary book has been published to commemorate 25 years of the Big Carp magazine. Big Carp is the original ‘top end’ carp magazine for the thinking angler. Started in February 1991, its aim has always been to give the ordinary successful angler a platform to tell his story – proper anglers with proper tales to tell. Many of today’s top carp anglers began writing in BC including Dave Lane, Terry Hearn and Jim Shelley, all of whom wrote their first ever articles in our pages…25 years later and the magaziune still has the same philosophy – NO consultant advert/articles - still keeping it real! Some very special chapters have been commissioned for this book including Rob Maylin on 25 years as editor, Keith Jenkins on the iconic venues, Martin Gardner on the future of Yateley in his hands, Clive Williams on the growth of French carp fishing holidays, Mike Wilson on the evolution of carp tackle, Lee Jackson on 25 years behind the counter of a leading carp shop, Steve Briggs on the evolution of carp baits and the UK’s most consistent carp angler, Dave Lane, tells his story of 25 years on the big carp trail, along with lots of other incredible chapters specially written for this incredible volume. The book also features a Top 10 lists on a variety of subjects including the all-time Top 10 carp and carp anglers. Whether you agree or disagree is immaterial, these were the votes at the time.